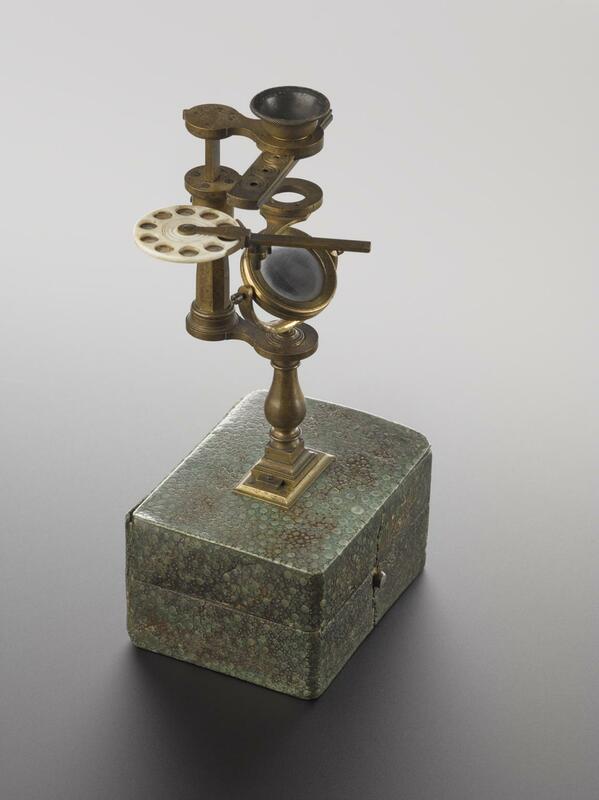 Pocket microscope by Jeremiah Sisson, in green shagreen case, with brass slde, wheel of objects, and stage forceps. 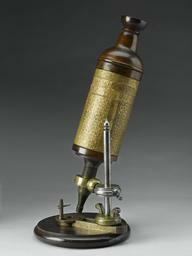 Pocket microscope in shagreen case made by Jeremiah Sisson, the Strand, London, in 1752. The case acts as both a receptacle by which to store and transport the microscope when not in use and as a base on which the microscope can be attached when in use. It is accompanied by a brass slide holding lenses of varying magnification, a specimen disc and forceps. It once belonged to Stephen Demainbray and is inscribed: 'Dr. Demainbray invent/ J.Sisson London'. 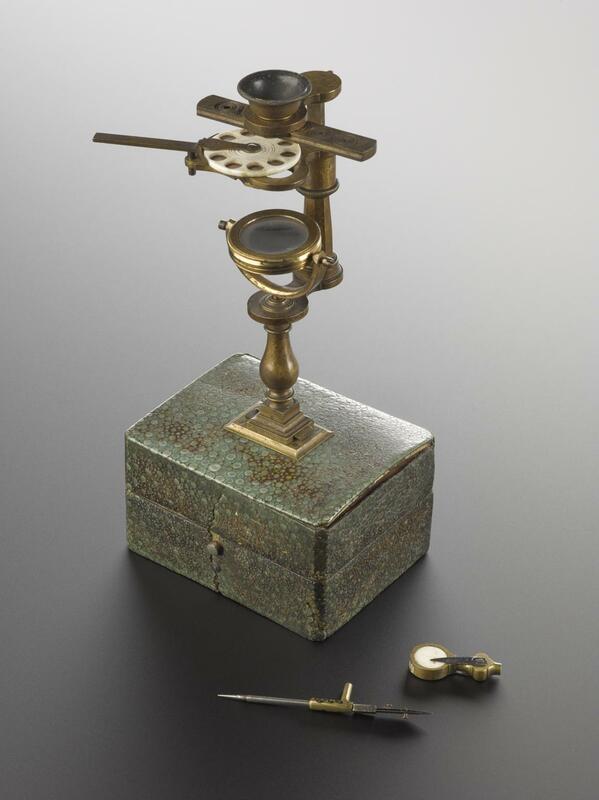 This pocket microscope once belonged to Stephen Deminbray who lectured in natural philosophy and worked as superintendent at the King's observatory at Kew from 1768 and his collection of instruments and apparatus was absorbed into the King's own collection. 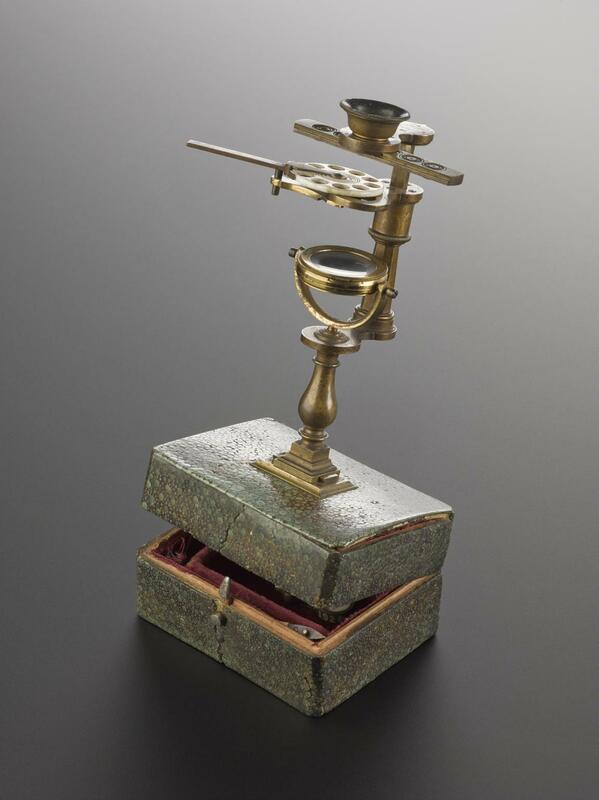 This microscope was designed to be used as both a simple handheld microscope and a compound microscope with the addition of a small body tube, which has not survived. 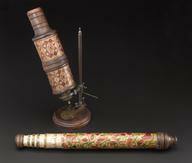 It is the only known example of a microscope made by Jeremiah Sisson.